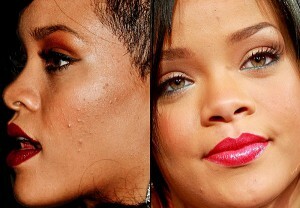 Acne is not dangerous, but can leave skin scars. Human skin has pores (tiny holes) which connect to oil glands located under the skin. The glands are connected to the pores via follicles – small canals. These glands produce Sebum, an oily liquid. The sebum carries dead skin cells through the follicles to the surface of the skin. A small hair grows through the follicle out of the skin. Pimples grow when these follicles get blocked, resulting in an accumulation of oil under the skin. 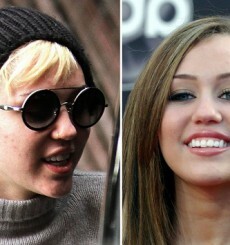 Nearly 85% of people develop acne at some time between the ages of 12-25 years. Up to 20% of women develop mild acne. 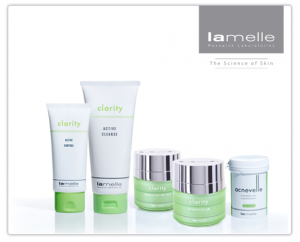 Your Accredited Lamelle Specialist or aesthetic medical doctor will prescribe a Lamelle acne treatment and associated products. This treatment protocol is designed to treat and prevent the excess sebum, dead skin cells and bacteria from clogging the pores and eventually leading to problematic skin. Lamelle’s highly active treatments have proven to be extremely successful in treating problematic skin due to innovative technology. This, along with the insufficient shedding of exfoliated dead skin cells, blocks follicles. While most skincare ranges attempt to manage these factors with varying success; using Tea Tree Extract Tea tree oil and Azelaic Acid, commonly known for their antimicrobial and anti-inflammatory ability. However this is not sufficient and they often neglect to treat the effects that acne lesions leave behind, namely dark marks, scarring and skin dryness. These can now all be addressed in a single home treatment range from Lamelle. Microneedling can improve the appearance of shallow, diffuse acne scarring along with improving all-over skin tone and texture. For very deep acne scars, we recommend combining microneedling with another treatment such as dermal fillers or laser resurfacing. In some cases, combining microneedling with a regimen of other procedures may give you the best results.